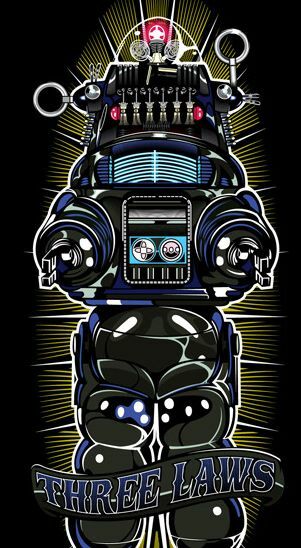 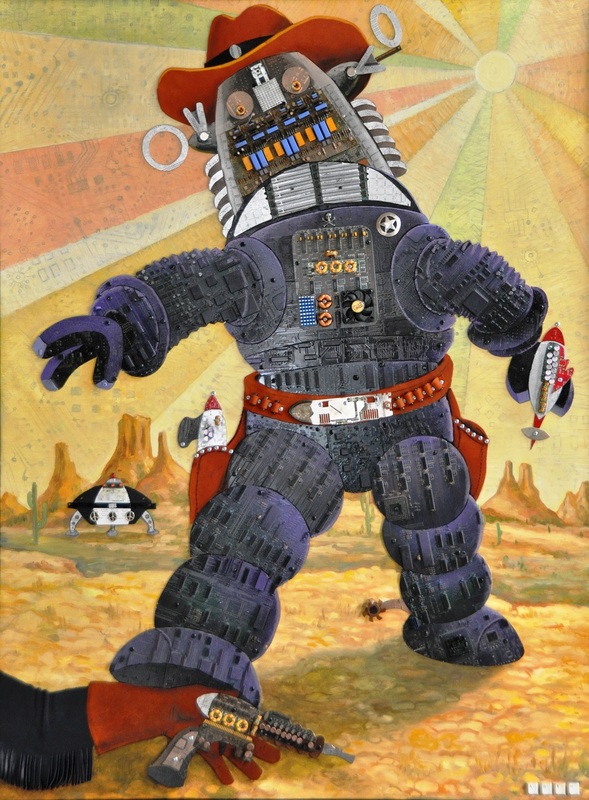 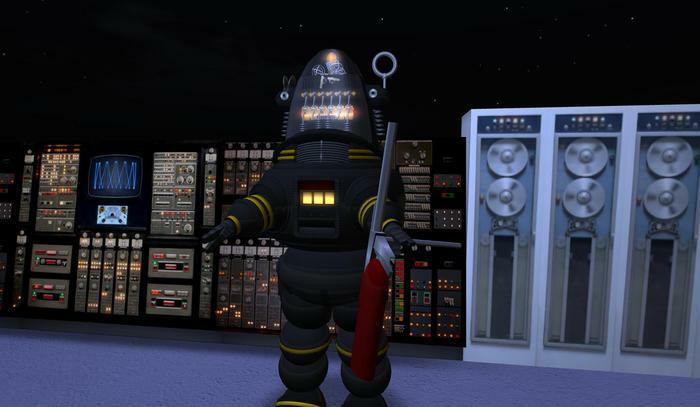 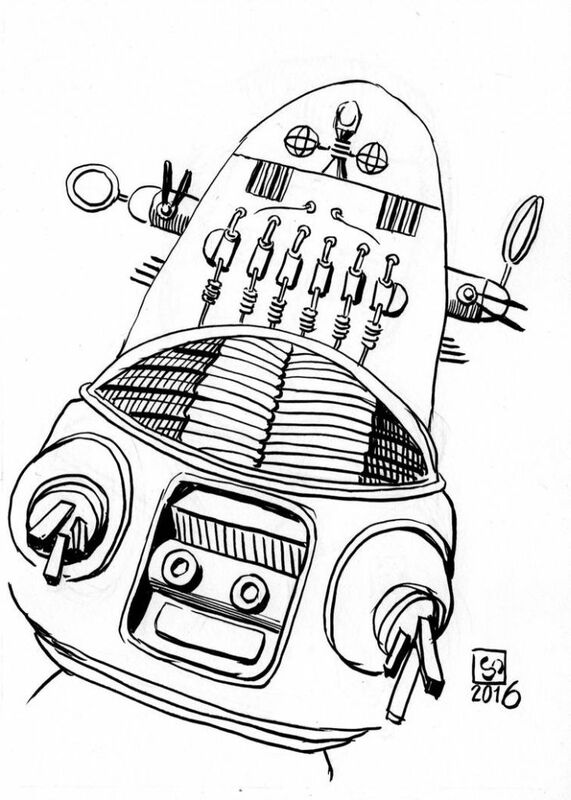 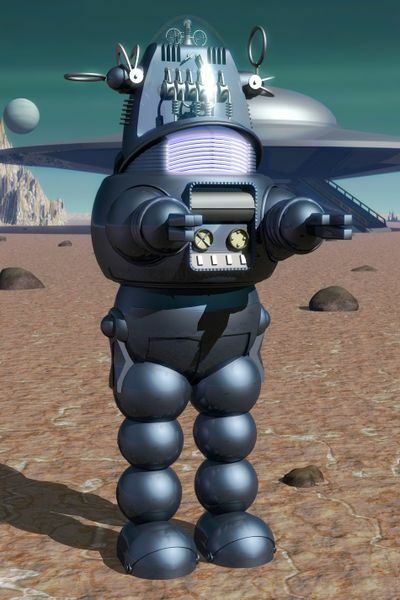 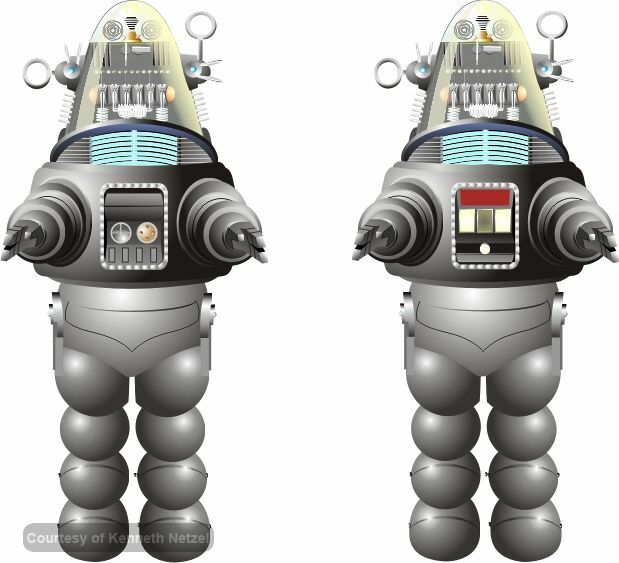 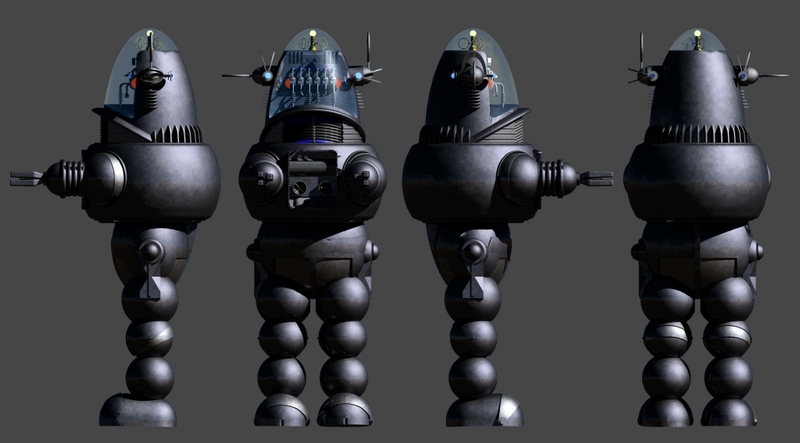 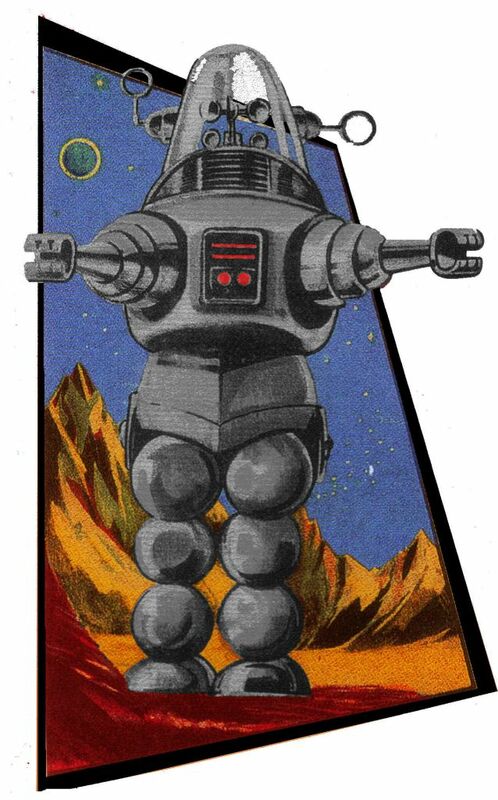 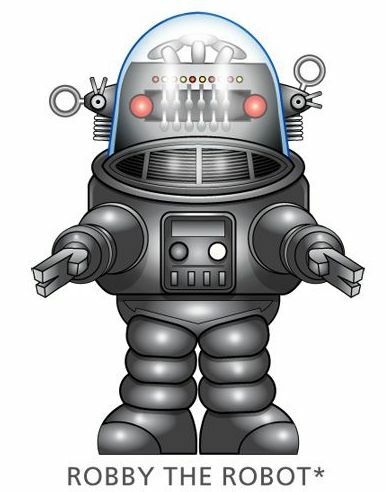 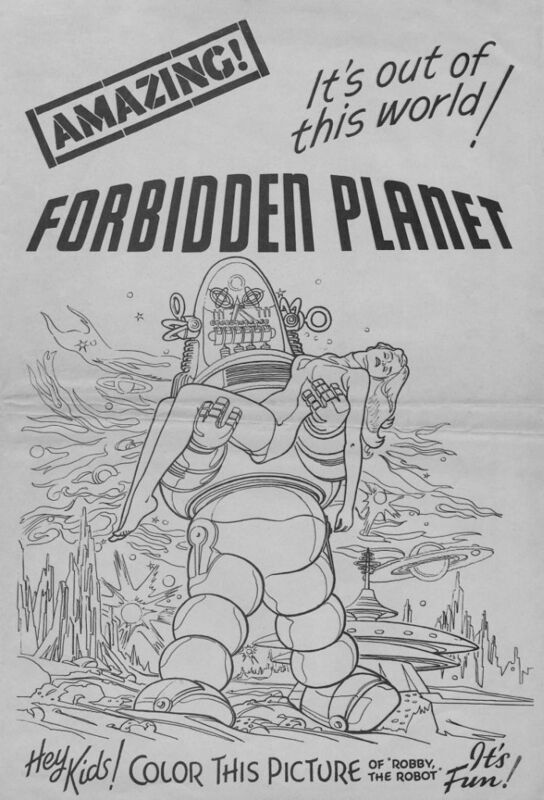 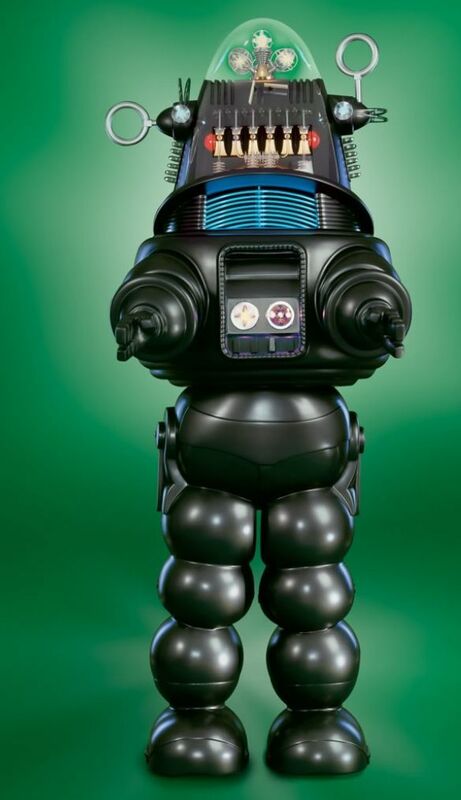 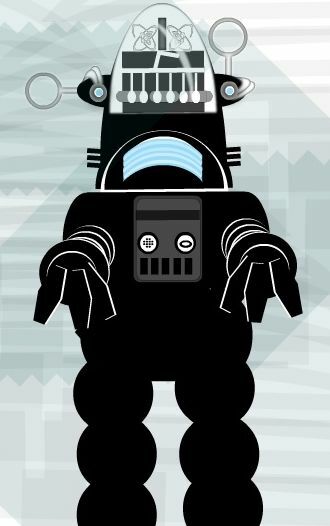 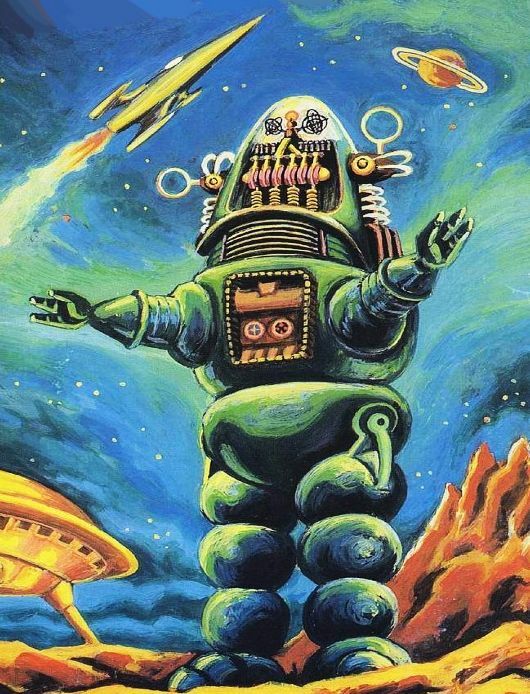 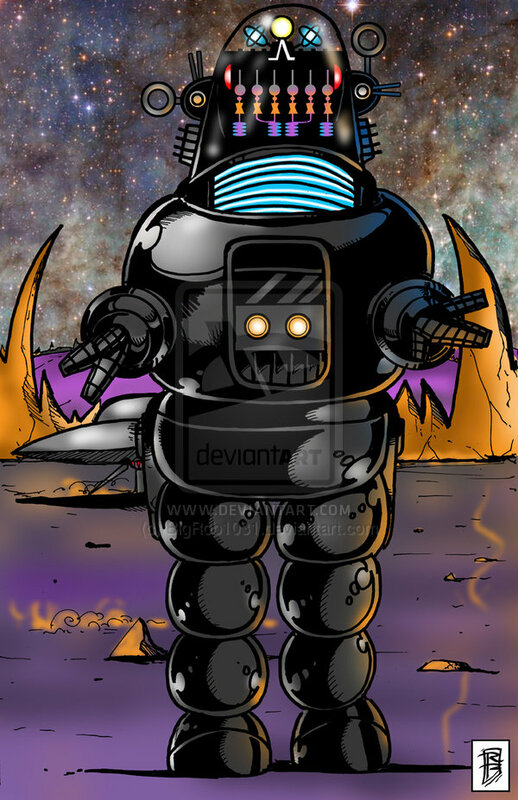 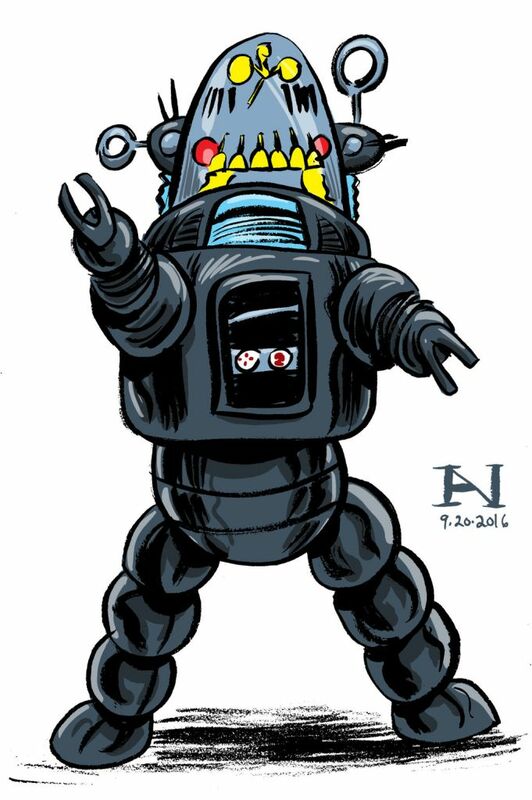 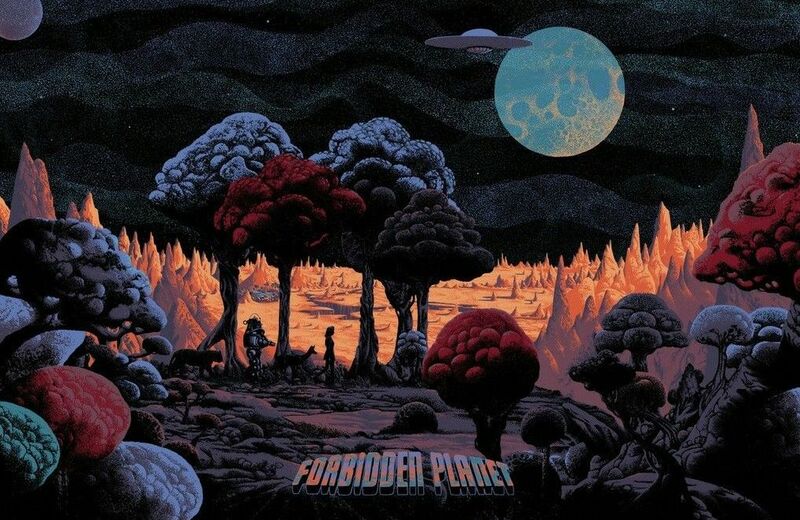 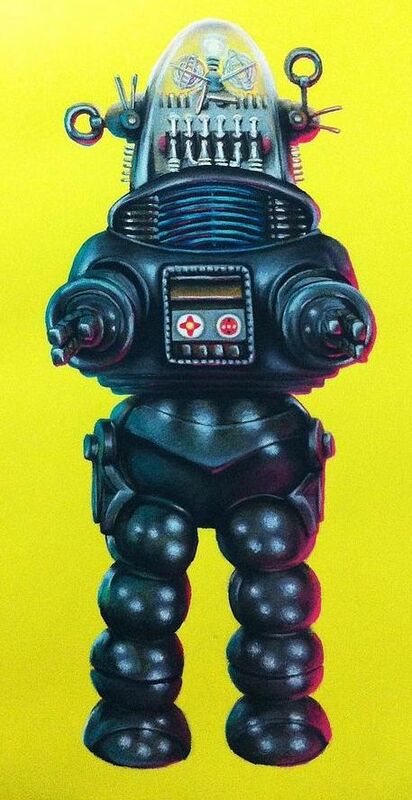 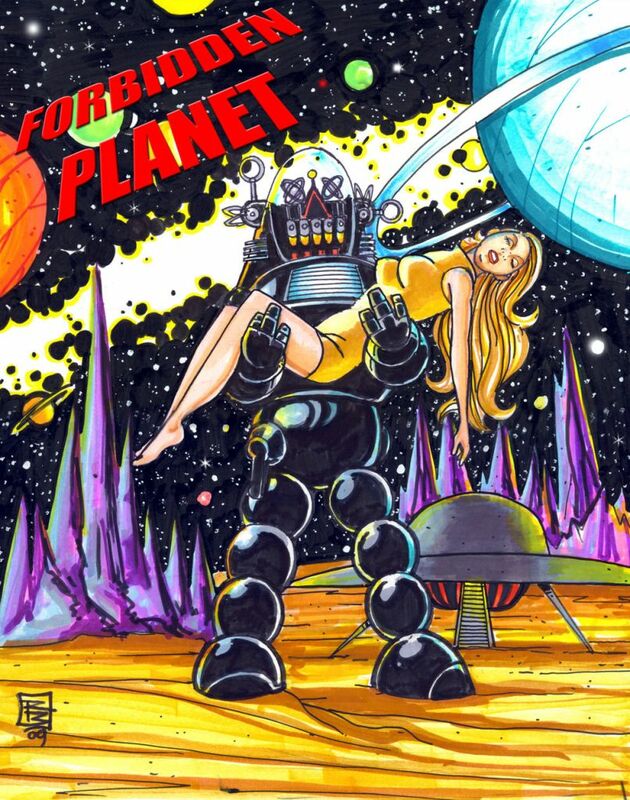 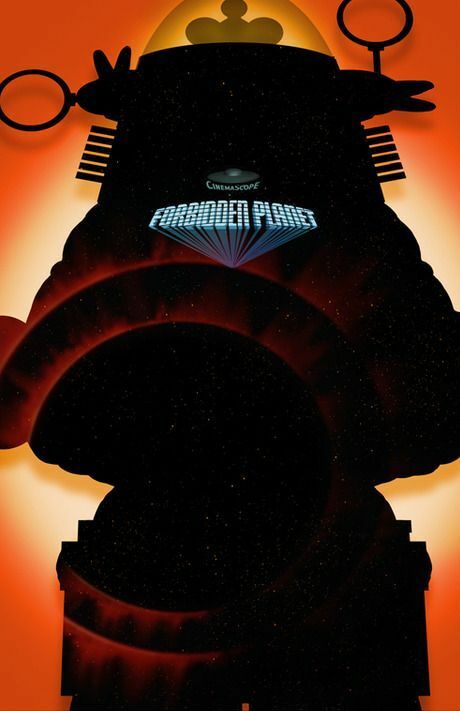 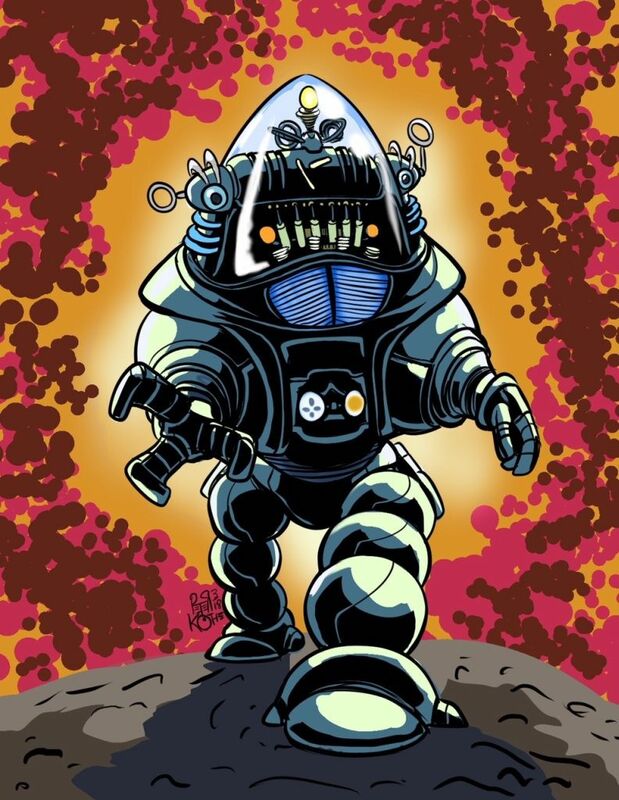 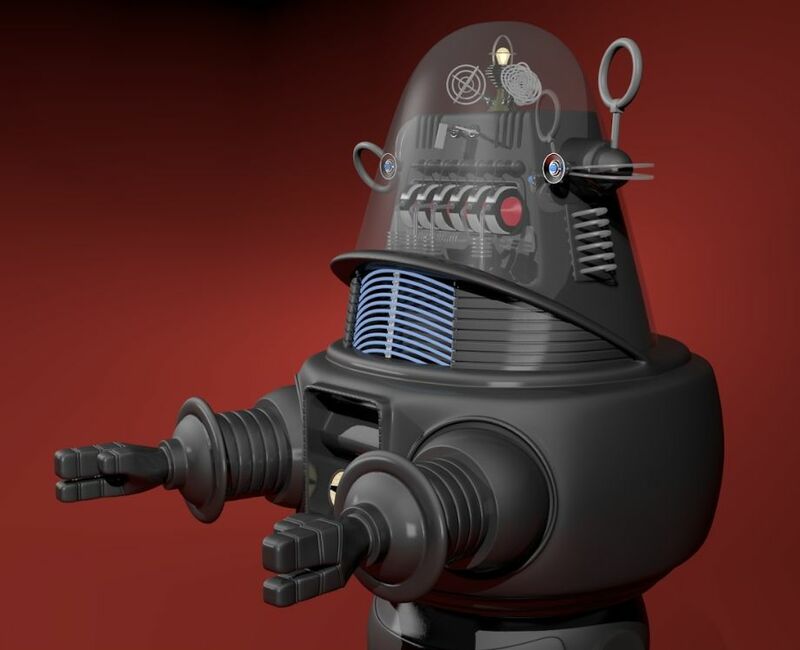 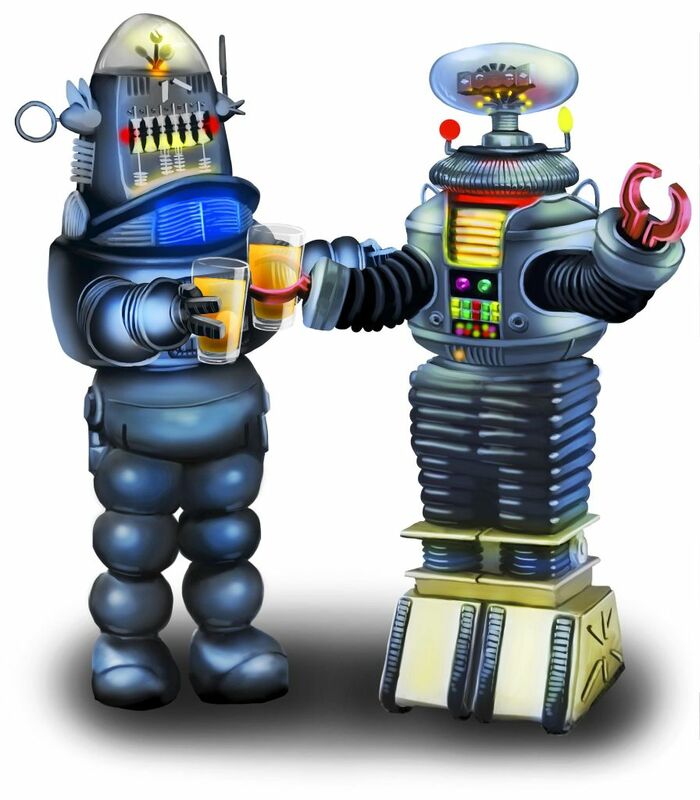 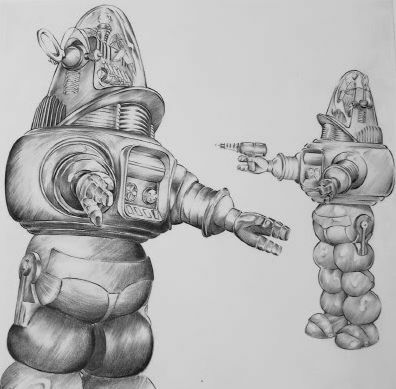 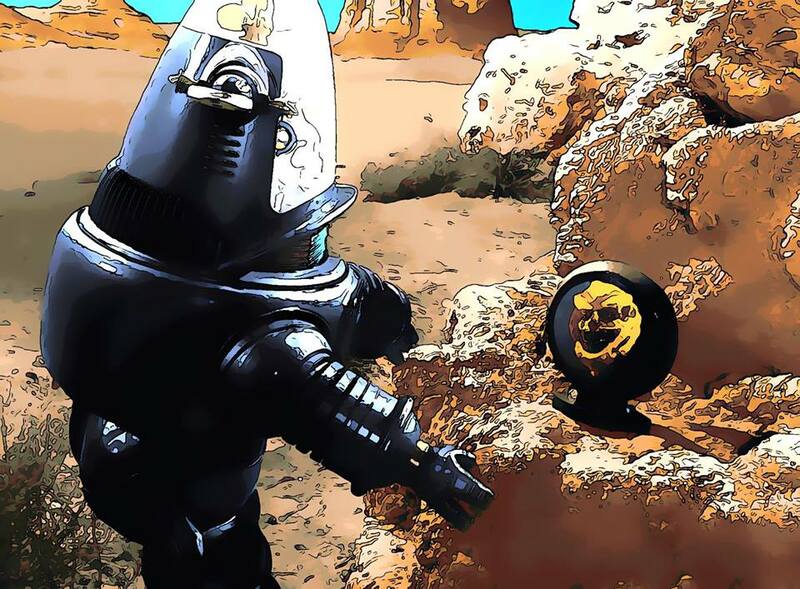 Robby, the Robot made his first appearance in the 1956 MGM movie, Forbidden Planet. 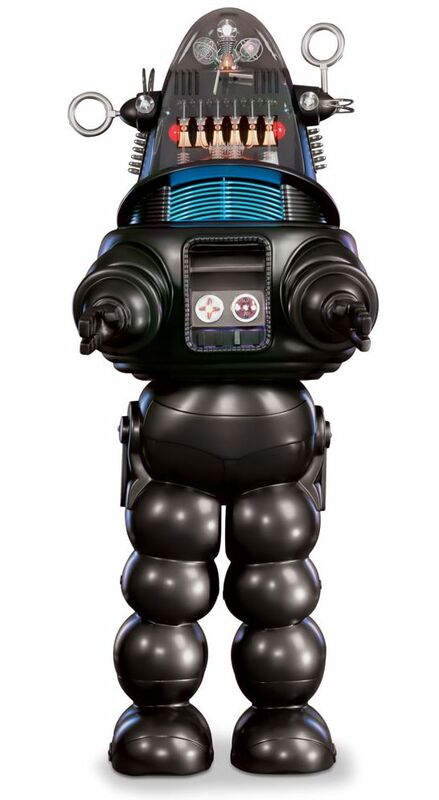 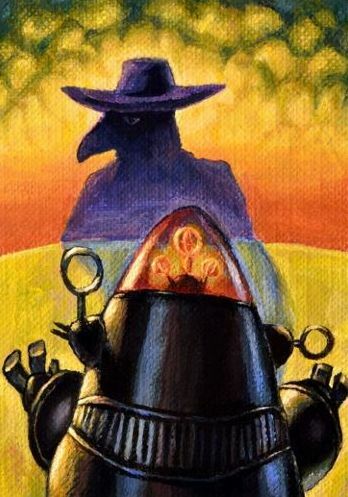 Robby is the film's most memorable character and responsible for the cult status the movie enjoys. 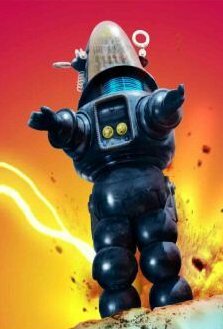 Audiences are still entranced by Robby's charming manner... part "gentlemen's gentleman," part Shakespearean clown, part pot-bellied stove. 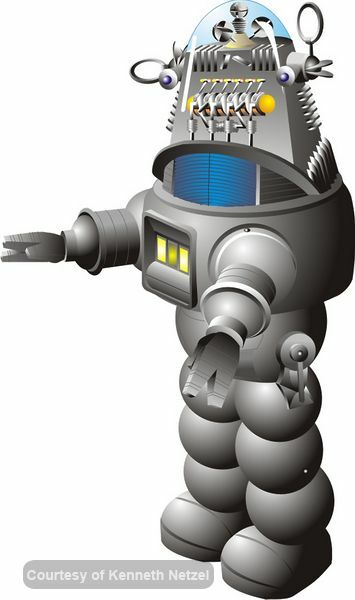 In the film, Robby is built by Dr. Morbius from plans left in an alien computer system. 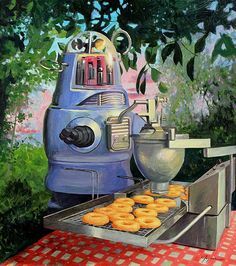 The result is a far more advanced robot than any other ever created by mankind. 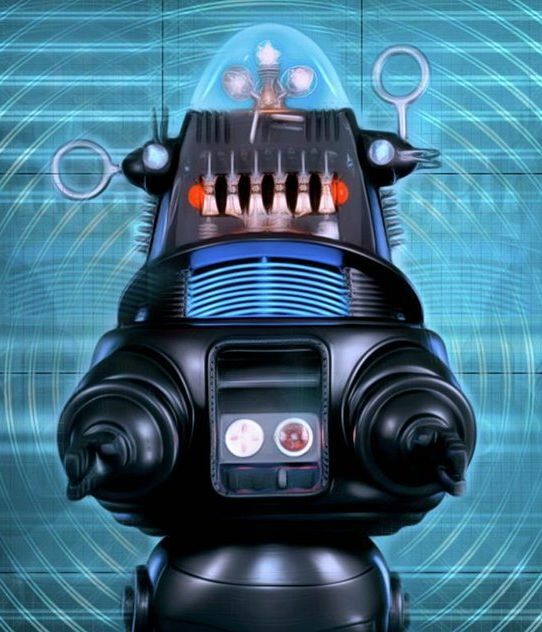 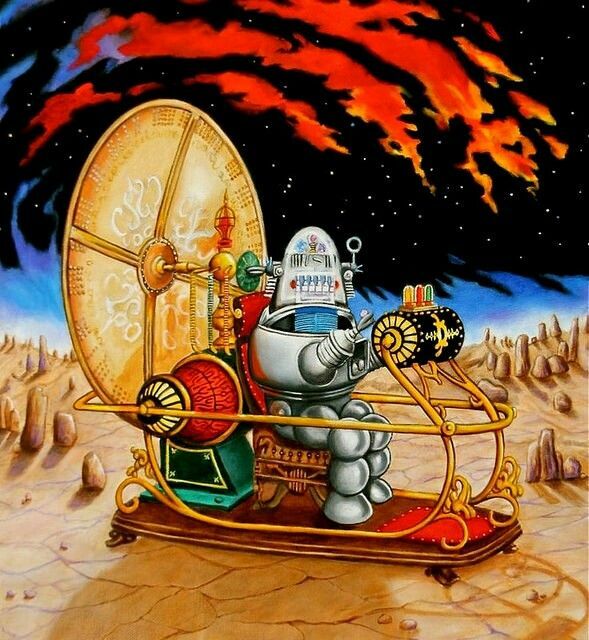 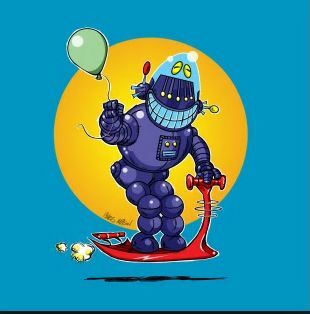 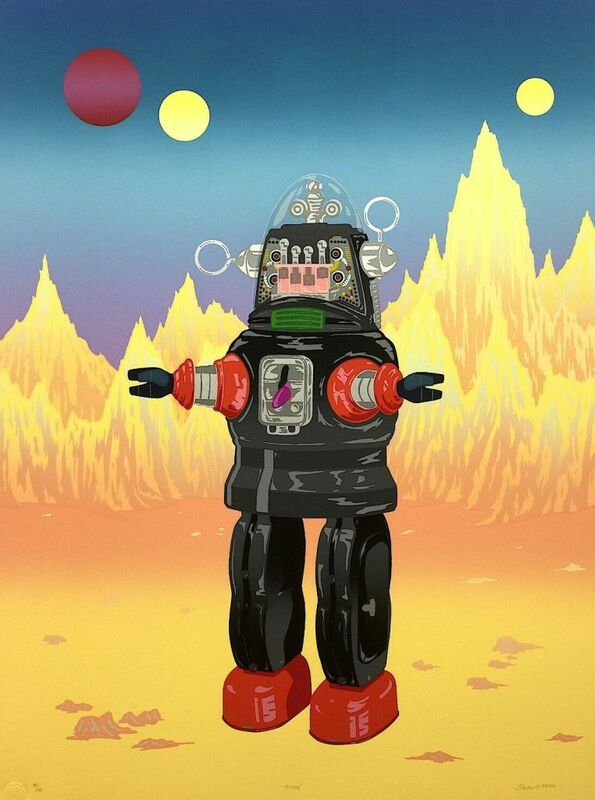 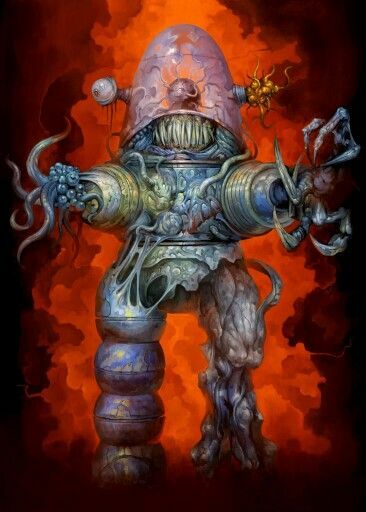 Robby obeys Isaac Asimov's Laws of Robotics: �A robot may not injure a human being. 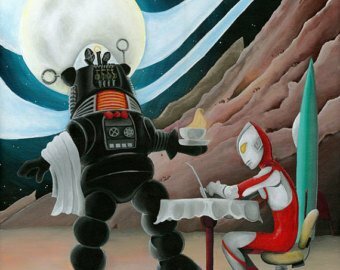 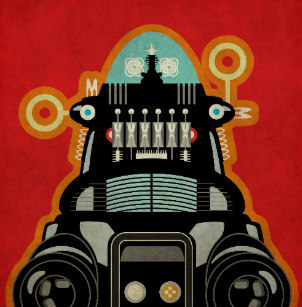 �A robot must obey human orders. 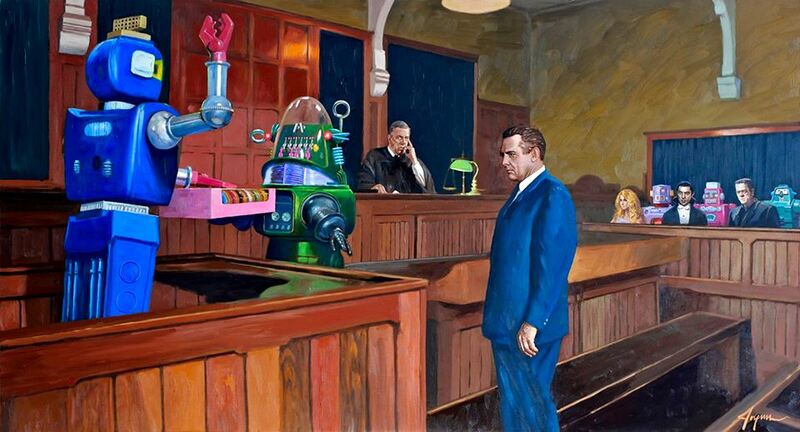 �A robot must protect its own existence. 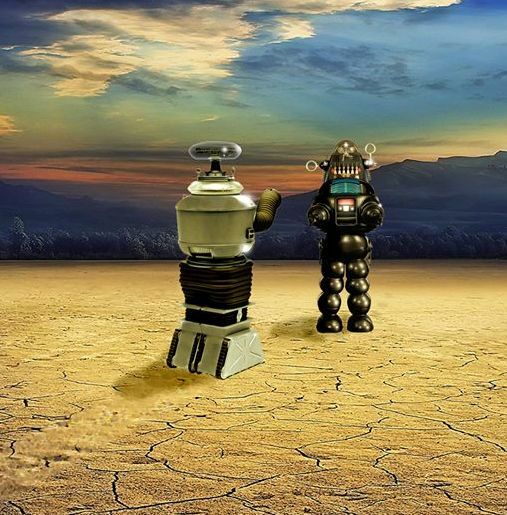 But, Robby is no mere automaton. 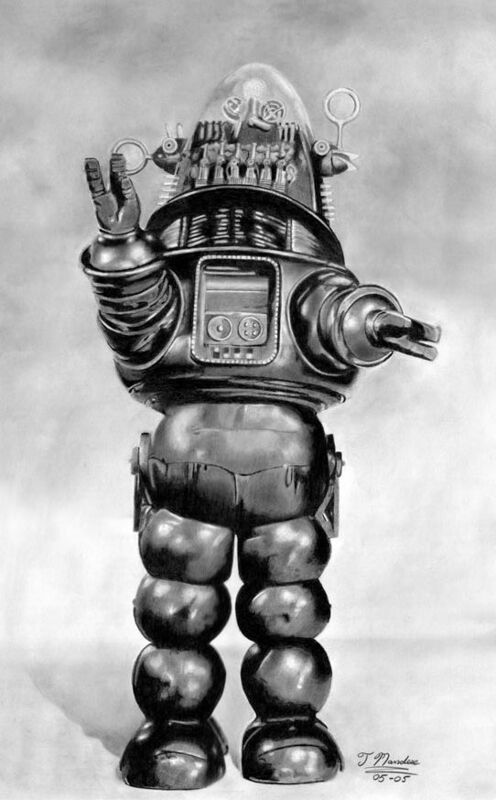 He is a fully drawn character, and his smug superiority provides much of the film's humor. 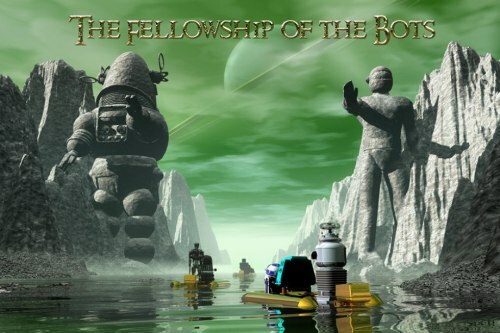 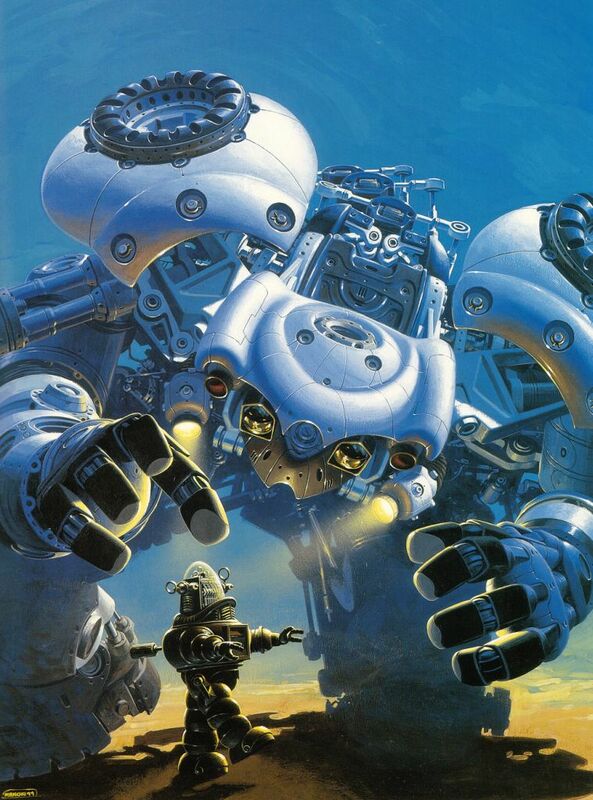 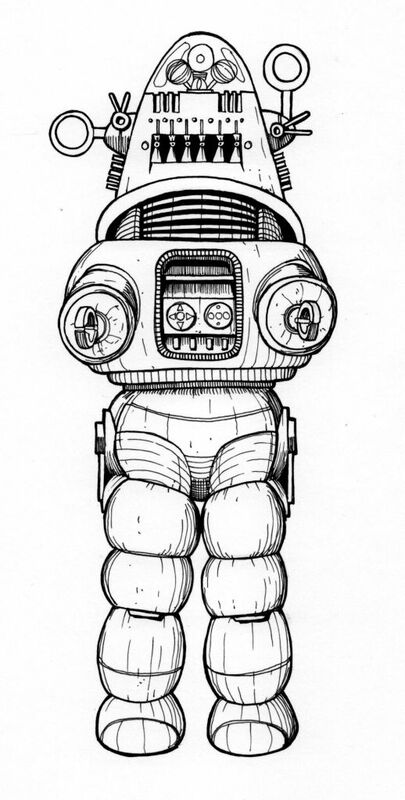 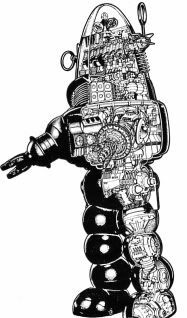 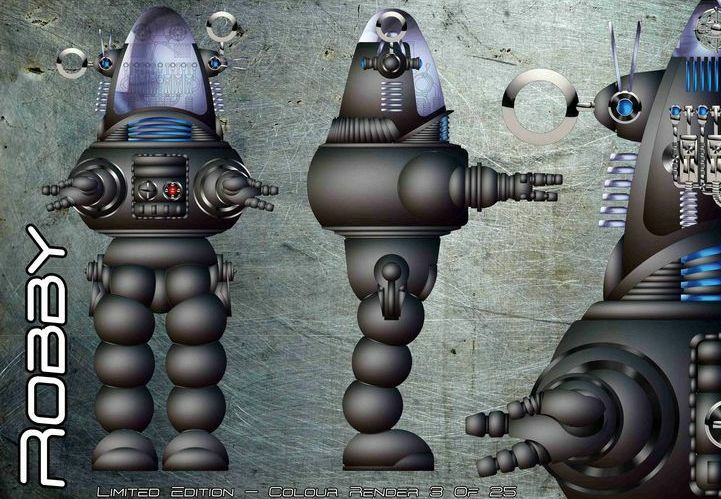 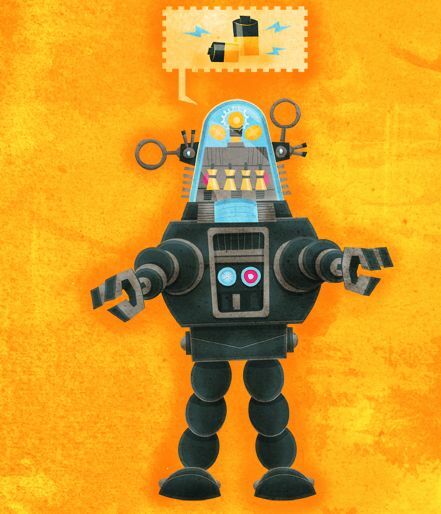 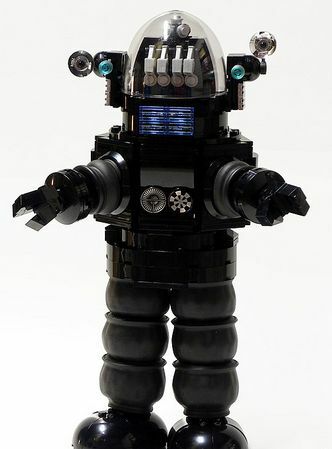 Designed by Art Director Robert Kinoshita, Robby is one of the most elaborate robots ever built for a film production. 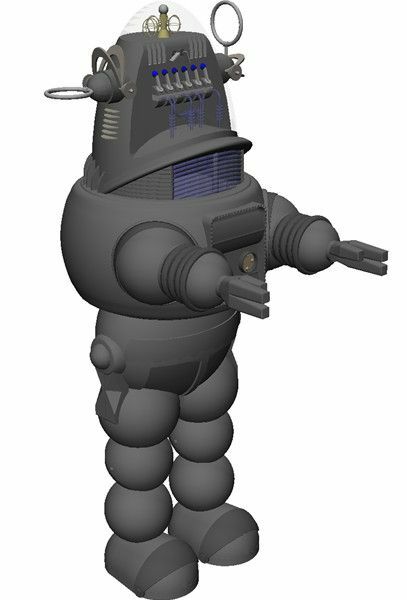 More than two months were needed to "thermo-form" plastics no one ever thought possible and install the twenty-six hundred feet of electrical wiring that operated all of Robby's flashing, spinning, and moving parts. 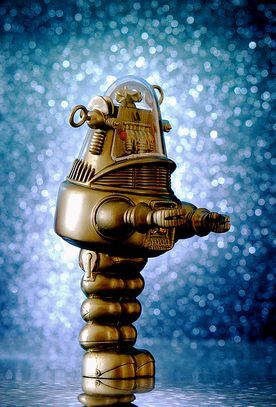 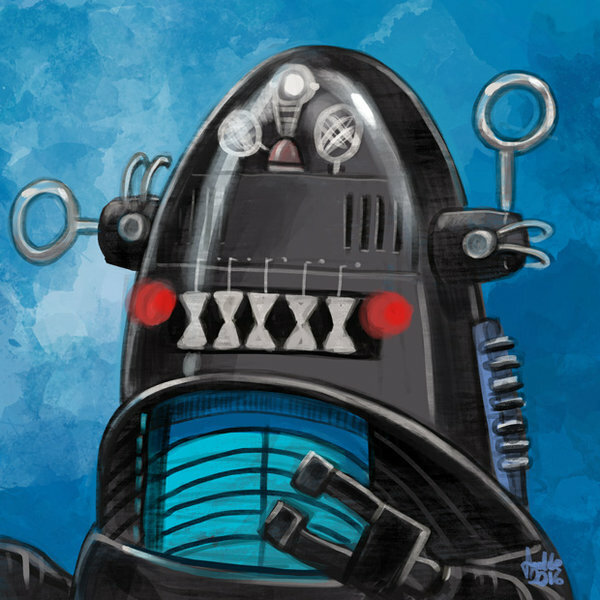 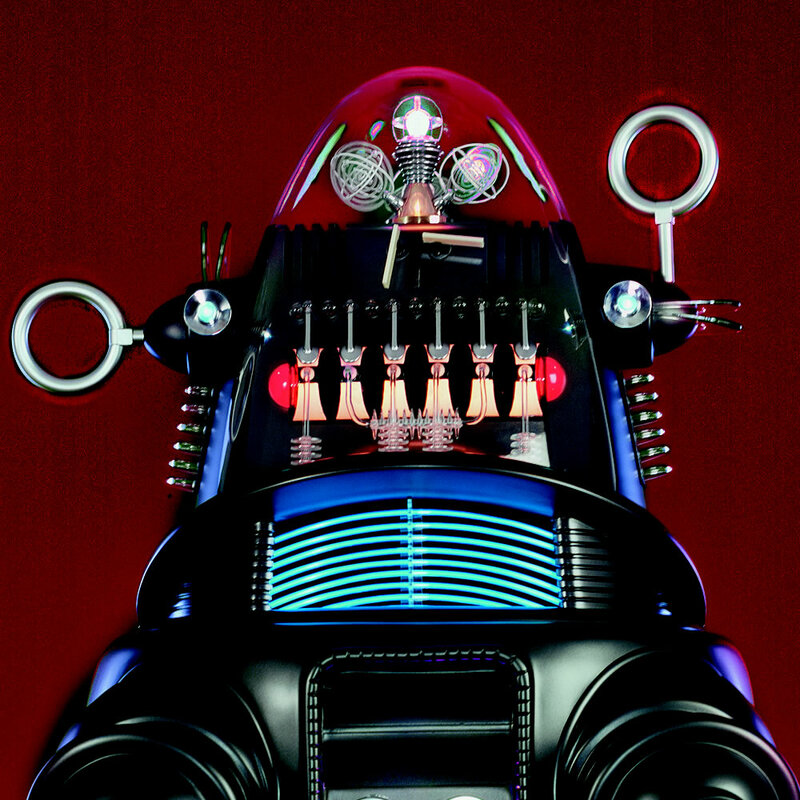 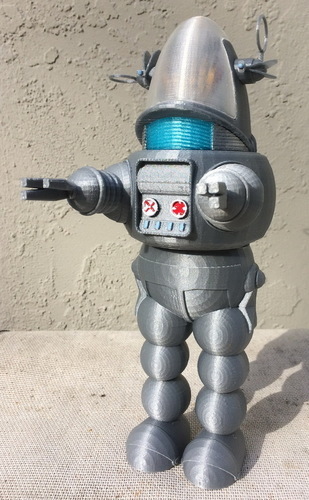 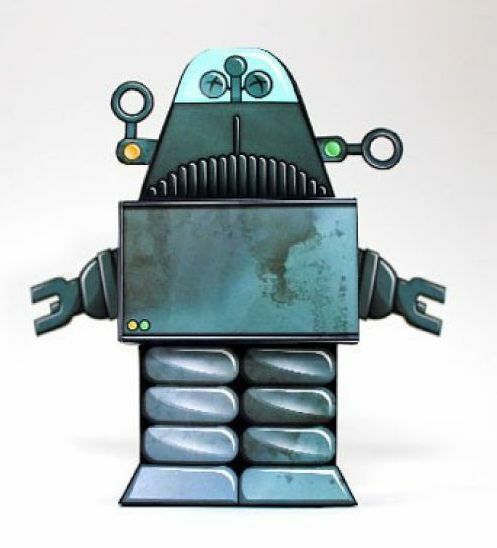 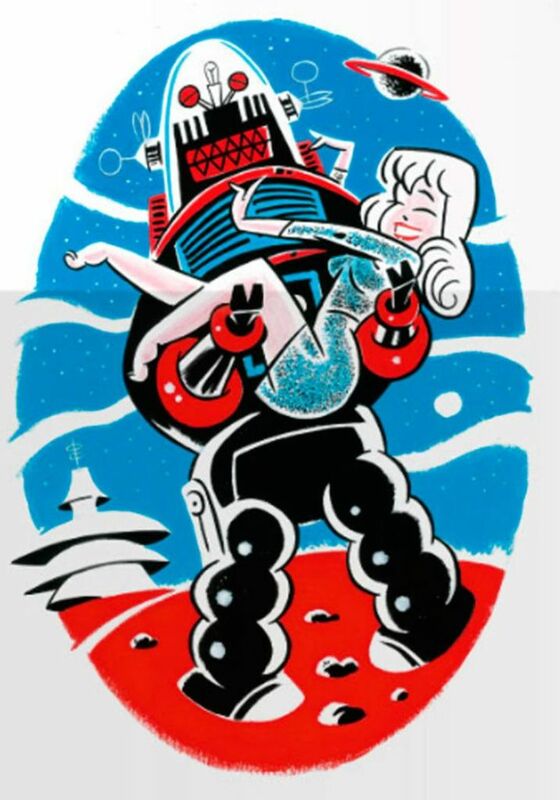 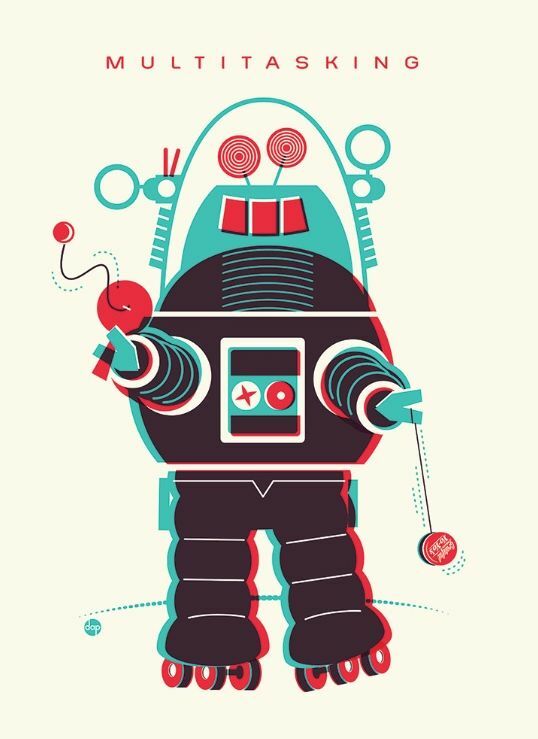 The Robby the Robot toy was hugely popular in 1956, and still is today. 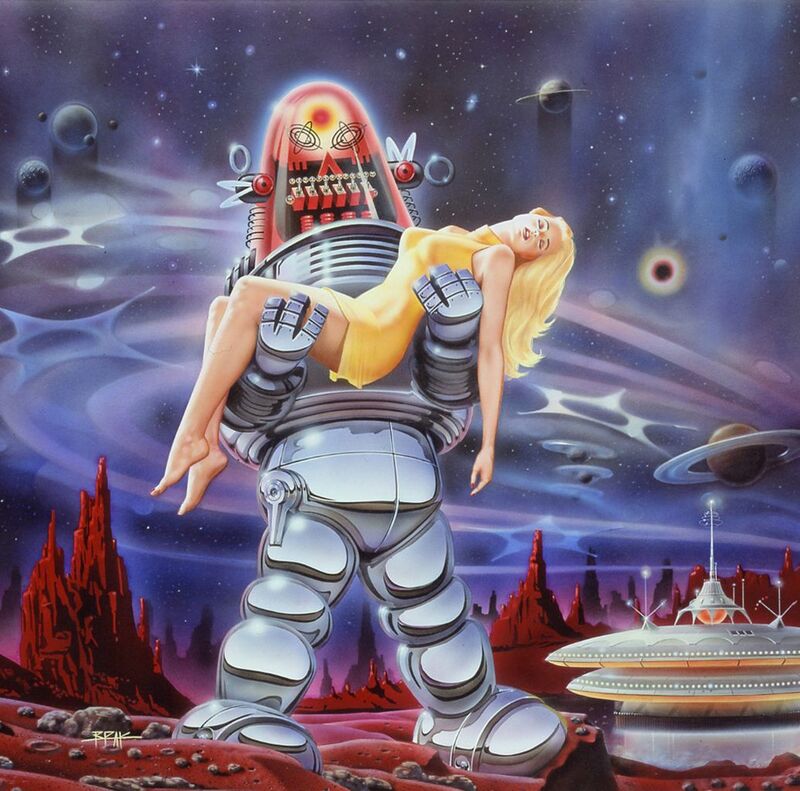 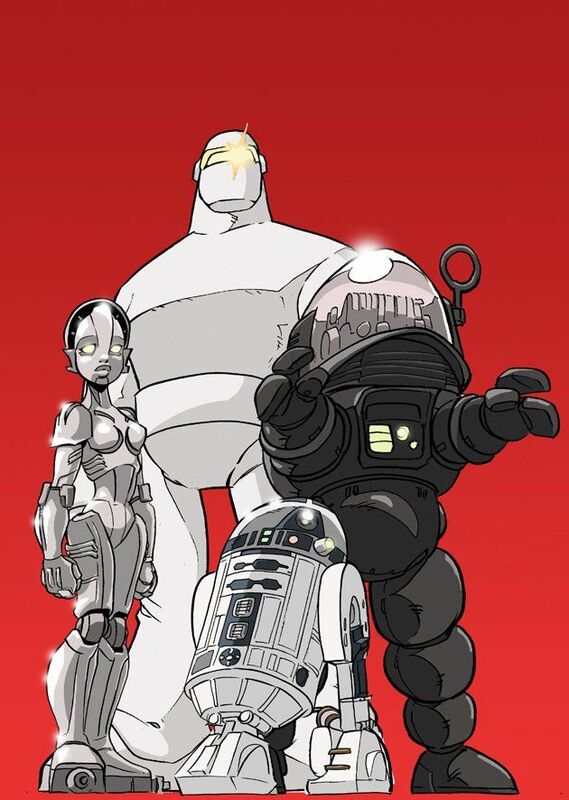 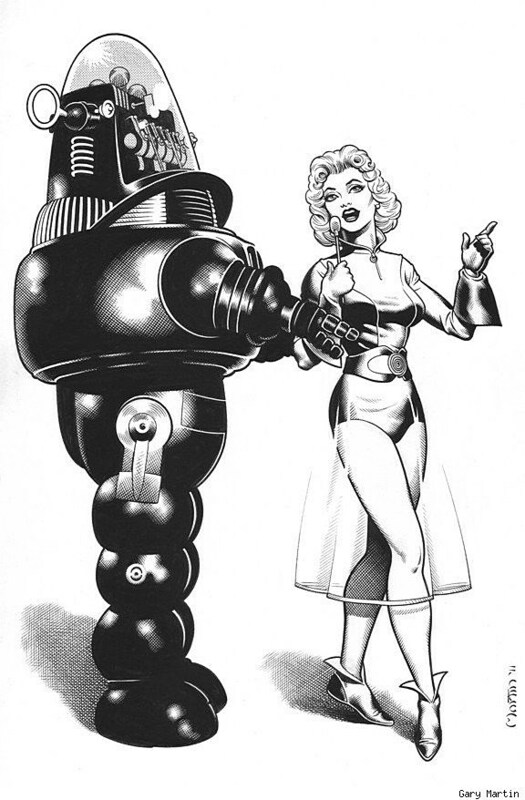 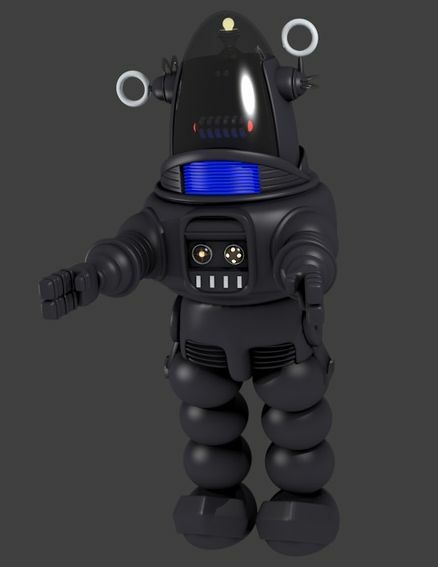 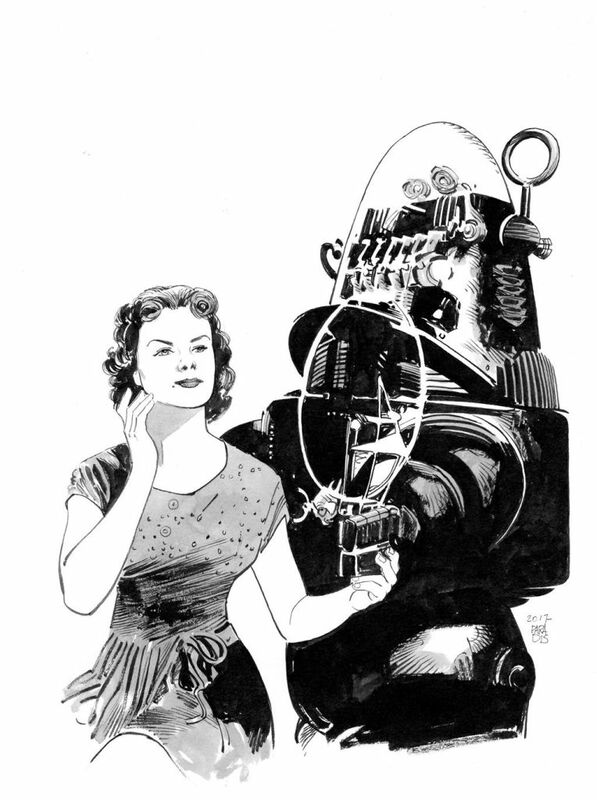 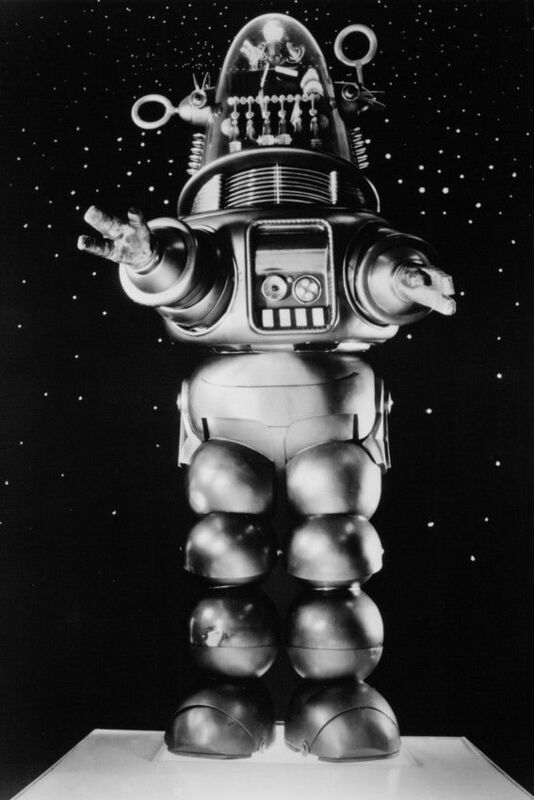 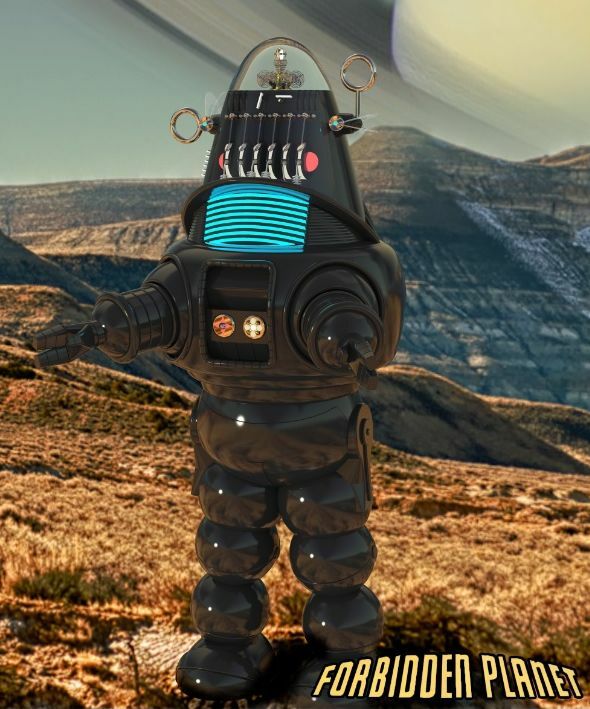 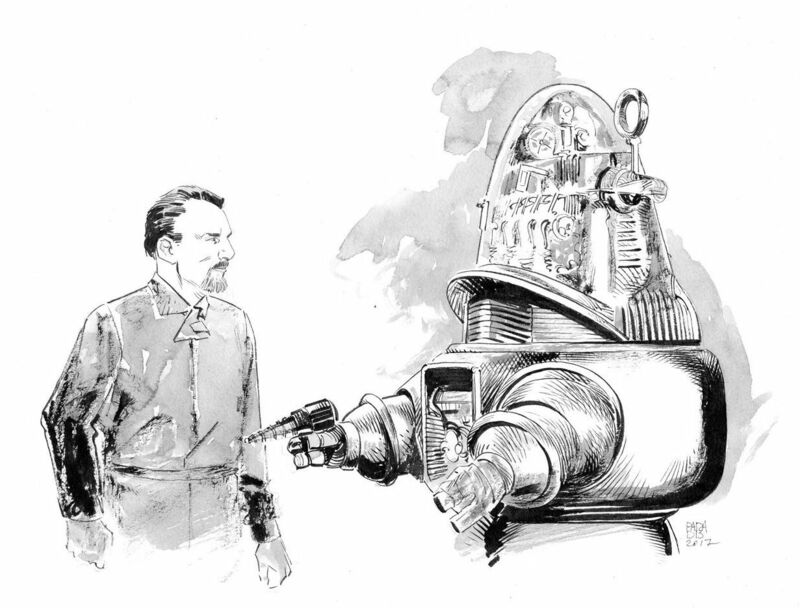 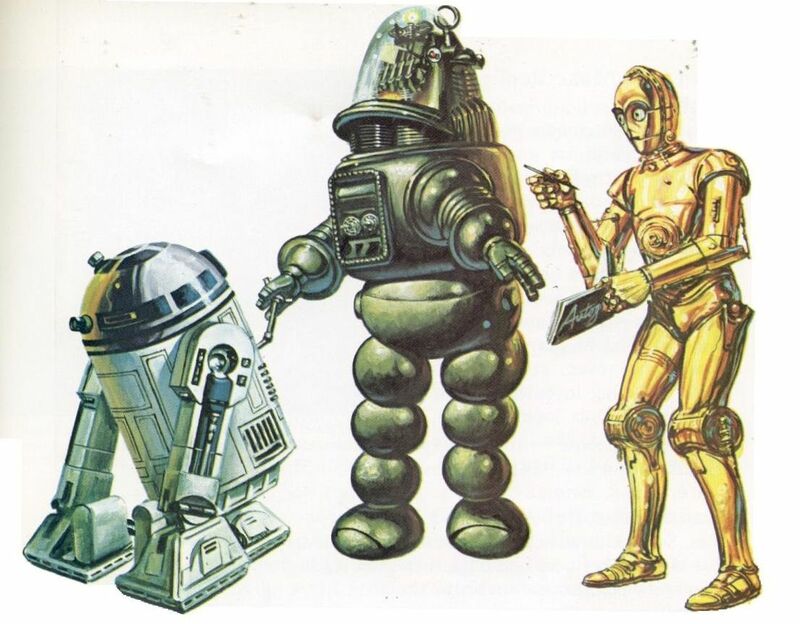 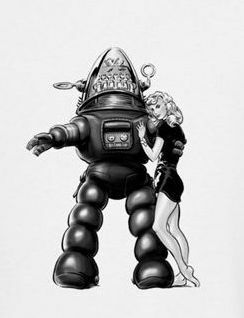 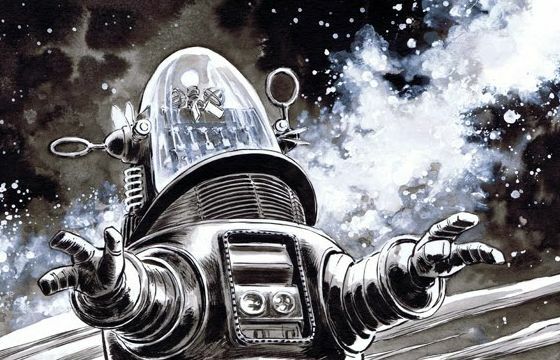 Fans can own a life-sized Robby, the Robot, complete with a state-of-the-art computer brain and audio animatronics. 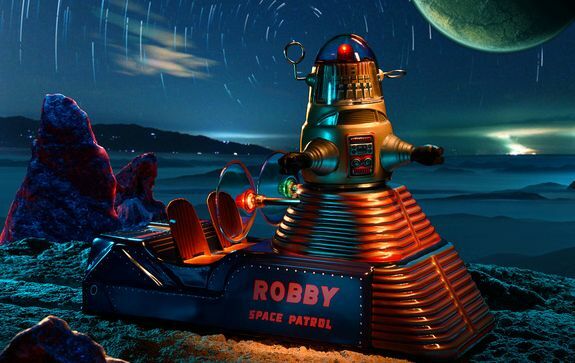 Robby is a true pioneer, going where no robot had gone before, exploring unknown galaxies and setting records in movie merchandising right here on Earth!